Well, I held to my guns and sketched with my watercolors today. The challenge with the Sketchbook Challenge this month is "Opposites". 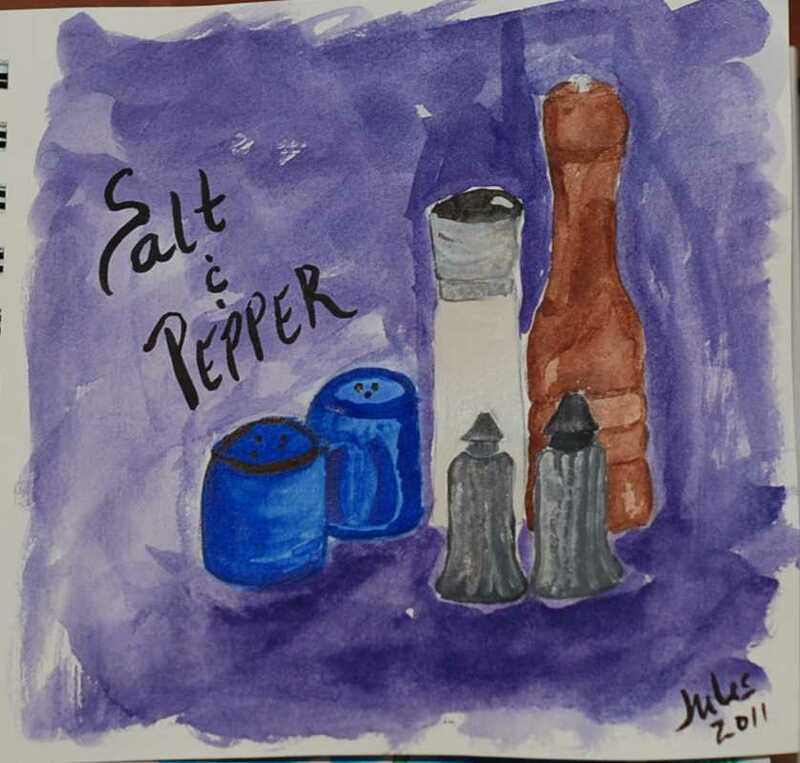 Hmmmm, several came to mind, but since I was sitting in the kitchen, Salt and Pepper shakers were handy, so here is my watercolor sketch. 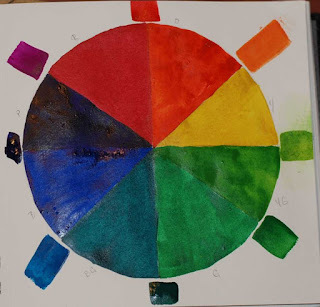 The next thing that came to my mind, since I was looking at my watercolors, was the color wheel...complementary colors! Here is that one! The artist I admire the most is Georgia O'Keefe. 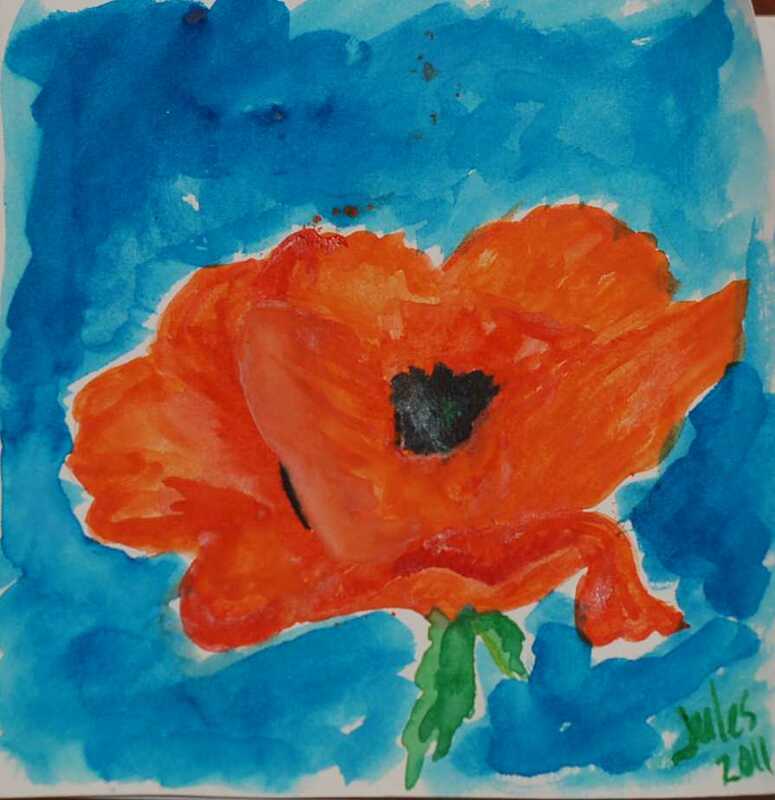 We have a print of her "Orange Poppy" in our family room. So here is my watercolor of it. Needless to say, I have a long way to go before I can accomplish what Georgia did, but hey, we have to start somewhere right? So that is it for today, time to start dinner. Jeff is driving home in the cold and ice from the office. Maybe if I start cooking the kitchen will warm up. Tomorrow the snow dyed fabrics get washed! Oh, I added a link to on the right hand bar to the Collection I curated on ArtFire! while I looked at your water colors I found myself thinking that I should give it try, sounds relaxing..